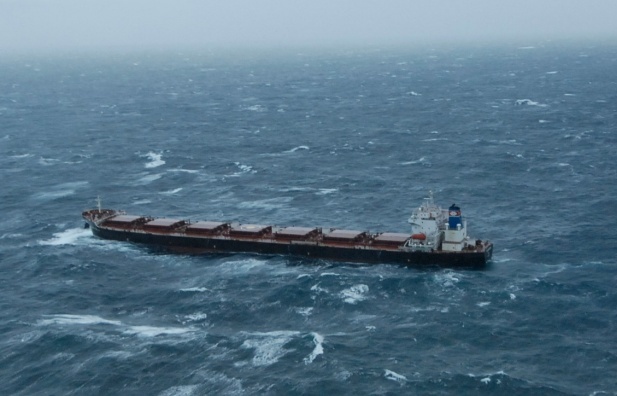 The freighter Golden Seas lost main engine power and went adrift north of Adak island in the Aleutian Islands. The turbocharger on the main engine failed leaving the vessel crippled in gale force winds and 30 foot waves. The Coast Guard has sent 2 helicopters to the be available if conditions worsen. The tug Tor Viking II from Dutch-Harbor has also been dispatched to assist. The 738 foot vessel was carrying canola seed, diesel and fuel oil from Vancouver, British Columbia, Canada to United Arab Emirates.